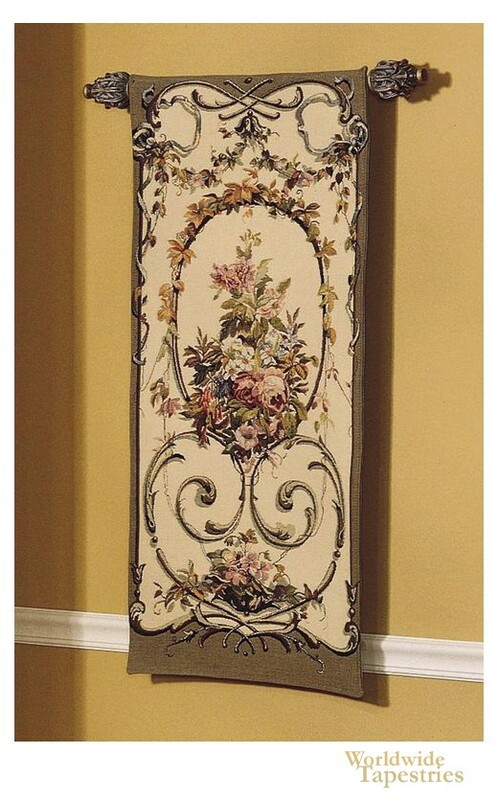 In the traditions of portiere style tapestries, in "Lauren Taupe" we see a floral and leaf design. Tall and distinctive, the portiere wall hangings, tall and narrow in style, were the decor pieces used in castle and palace residences of royalty to decorate the interiors. This portiere tapestry "Lauren Taupe" is backed with a lining and has a tunnel for easy hanging. Note: tapestry accessories, where pictured, are not included in the price. Dimensions: W 20" x H 43"
Dimensions: W 30" x H 64"